-SG- Brett in Australia has sent in this nice family snap of his grandfather Harry Brown on his '29/'30 Model 18. 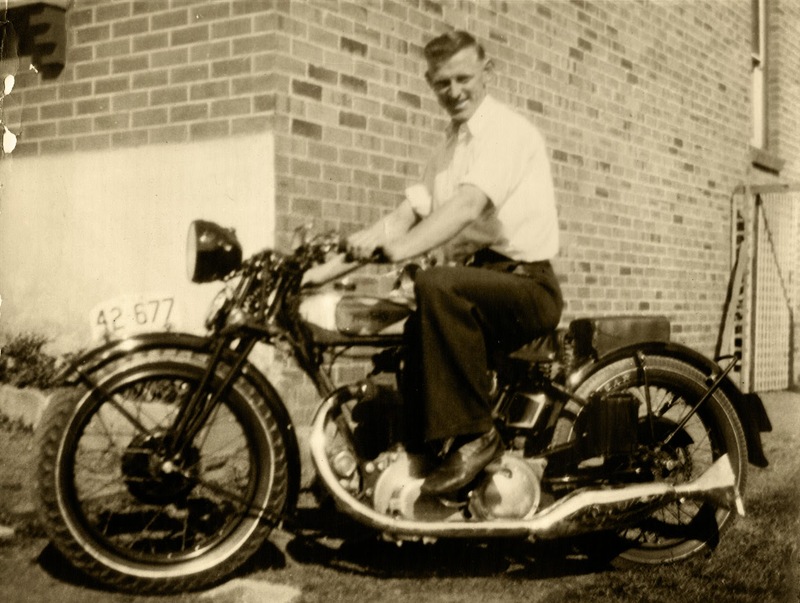 Brett says he is not entirely sure when it was taken but judging by the tidy appearance of the bike and the original lights and magdyno still being in place, it might just be pre-war or early after it. He relates also that his grandfather - serving with the forces in New Guinea at the end of the war - somehow managed to acquire a quantity of Harley parts and windshields from the departing US contingent which were miraculously - and profitably - re-allocated back to Sydney! What ultimately became of the Norton is unknown.